Paint Colors :: MANUFACTURERS :: MODERN MASTERS :: Metallic Paint Collection :: MODERN MASTERS METALLIC PAINT 99835 ME-429 VENETIAN BLUE SIZE:6 OZ. 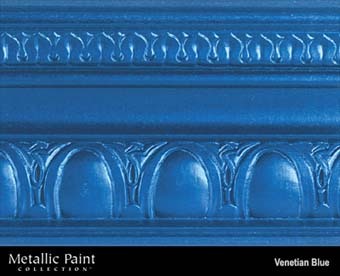 MODERN MASTERS METALLIC PAINT 99835 ME-429 VENETIAN BLUE SIZE:6 OZ. WOOSTER 4181 ULTRA PRO WILLOW FIRM THIN ANGLE SASH BRUSH SIZE:1.5" PACK:6 PCS. WOOSTER 4051 STAIN BRUSH SIZE:4" PACK:6 PCS. WOOSTER F5116 PRO STAIN BRUSH SIZE:4.75" PACK:4 PCS. FLOOD FLD138 WOOD STRIPPER SIZE:1 GALLON. PACK:4 PCS. GARDNER GIBSON 6215-GA SILVER DOLLAR FIBERED ALUMINUM ROOF COATING SIZE:5 GALLONS. MINWAX 21430 GLOSS OLD MAPLE 430 POLYSHADES SIZE:1/2 PINT. DUCKBACK SC-6205-4 GREEN BASE MASONS SELECT EPOXACRYL CONCRETE SOLID COLOR STAIN SIZE:1 GALLON. 3M 02433 9" X 11" COARSE EMERY CLOTH PACK:50 PCS.